A mathematics professor by training, Alberto Vanasco (1925–1993) was born in Buenos Aires and published his first novel, Nonetheless, Juan Lived (Sin embargo, Juan vivía) in 1947. His second effort, The Many Who Do Not Live (Los muchos que no viven, 1957) was made into a film in 1964 with the title All Suns Are Bitter (Todo sol es amargo). Among his other non-SF works are the novels New York, New York (Nueva York, Nueva York, 1967), Others Will See the Sea (Otros verán el mar, 1977), Infamous Years (Años in fames, 1983), and To the South of the Rio Grande (Al sur del Río Grande, 1987); the award-winning play No Pity for Hamlet (No hay piedad para Hamlet, 1948); two collections of poems, She, in General (Ella en general, 1954) and Rolling Stone (Canto rodado, 1962); and the essay “Life and Works of Hegel” (“Vida у obra de Hegel,” 1973). As for Vanasco’s genre work, in the Spanish-speaking SF community his name is associated with Eduardo Goligorsky, since they were coeditors of the two groundbreaking sf anthologies Future Memories (Memorias del futuro, 1966) and Goodbye to Tomorrow (Adiós al manaña, 1967). Vanasco later edited New Future Memories (Nuevas memorias del futuro, 1977). “Post-boomboom,” from Goodbye to Tomorrow, belongs to the tradition of the postholocaust rebuilding of civilization, but departs from it in several respects, since the main characters are not “savage men” who restore society in the end, nor do contemporary images of the lost world appear as references. The protagonists’ efforts to recover traces of scientific knowledge to pass on to their unpromising children have an ironic, tragicomical effect. As parts of everyday life begin to fade away, one teacher struggles to keep a semblance of normality for the teenagers in her classroom. But what can she teach to students who know they will one day be the final remnants of mankind? 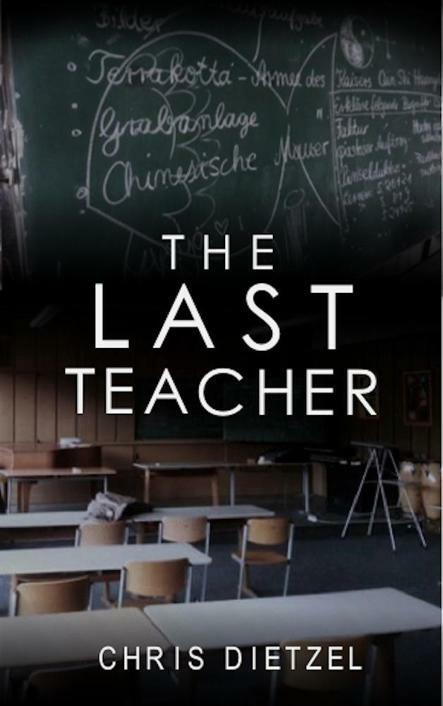 THE LAST TEACHER is a story about realizing which lessons are most important in life. A Great De-evolution short story. 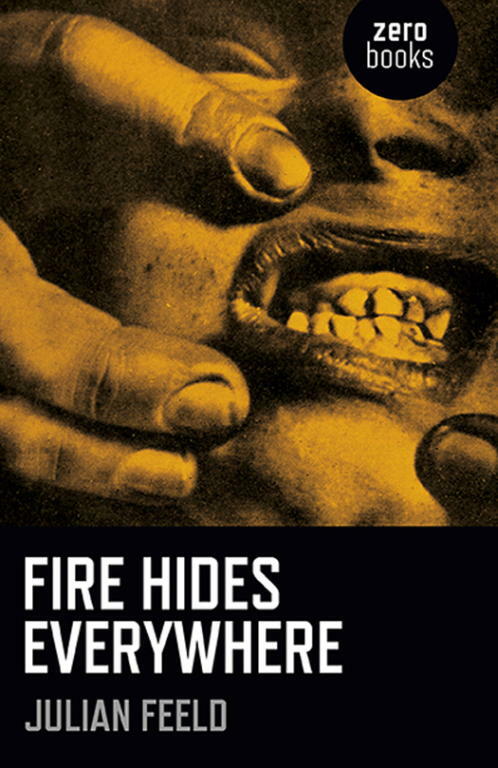 Fire Hides Everywhere is a speculative fiction novel exploring a question central to identity: do we exist beyond our subject positions? Following an apocalypse in which all except those just born or about to die disappeared, Julian Feeld’s novel sets out to explore the eternal Buddhist question: “Who is born? Who dies?” As the young are left to define their ‘selves’ untethered, an old man begins to enlist them as placeholders for those no longer present. When he suffers a violent stroke and loses his capacities as a caregiver, he continues to operate structurally in the lives of the young people left to fend for themselves, begging the question: do structures live on beyond the lives of those inhabiting them?